Team building activities represent one of the best ways to get employees together and encourage better social relations between them. The main reasons why we encourage you to organize a team building get together activity includes: improving communication, interacting, adapting to change, having fun and celebrating together. Team building activities work just fine even for small businesses. A great way to develop teams is to do something together that is new for everyone - something that is fun, encourages conversation, creativity, and stepping outside a comfort zone. 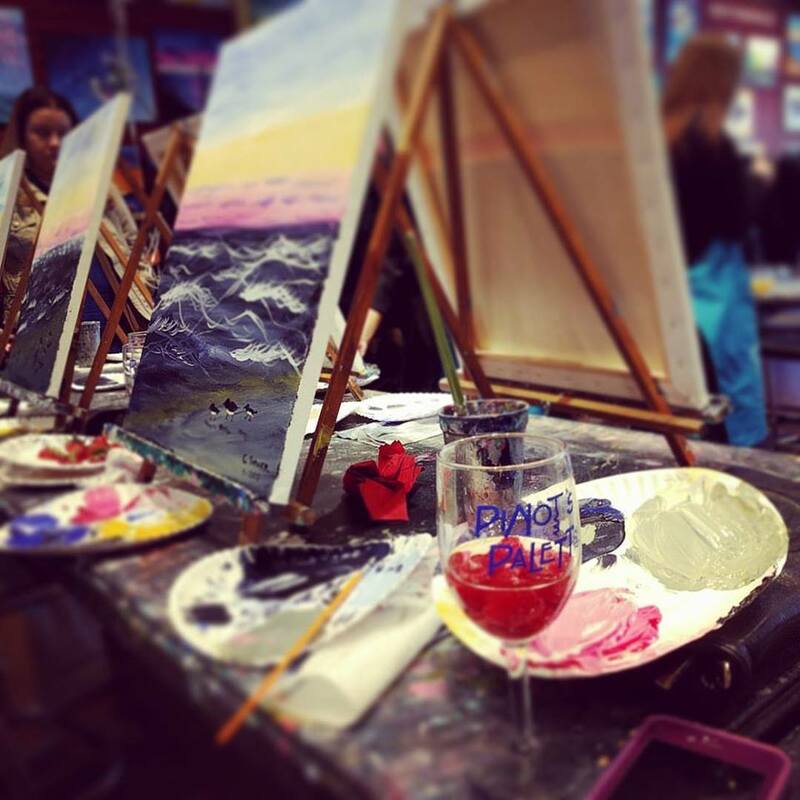 Pinot's Palette offers painting and sipping art classes that are perfect for group team building. Below, here are some additional ideas for team building activities. A semi-athletic outdoor competition that challenges teams to solve some tasks. Team communication is the key element. The team holding the absolute record will be rewarded. A great teambuilding activity that focuses on project management in the form of "earning as much money as possible". Test your negotiation skills and complete your project, by interacting with other colleagues. Your team is challenged to go through the experience of an elite military group. The morning roll call, meal preparation, or defusing a bomb will be just a few of the activities. Your employees will create super toys for disadvantaged children from a particular community. Your team members will turn into detectives and solve the mystery of a crime. They will receive clues such as interviews with suspects, crime scene images, photos or autopsy reports. They must work together so that they do not follow the wrong track.